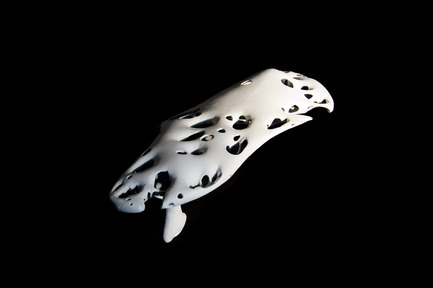 The CCA presents Other Space Odysseys: Greg Lynn, Michael Maltzan, Alessandro Poli from 8 April until 6 September 2010. 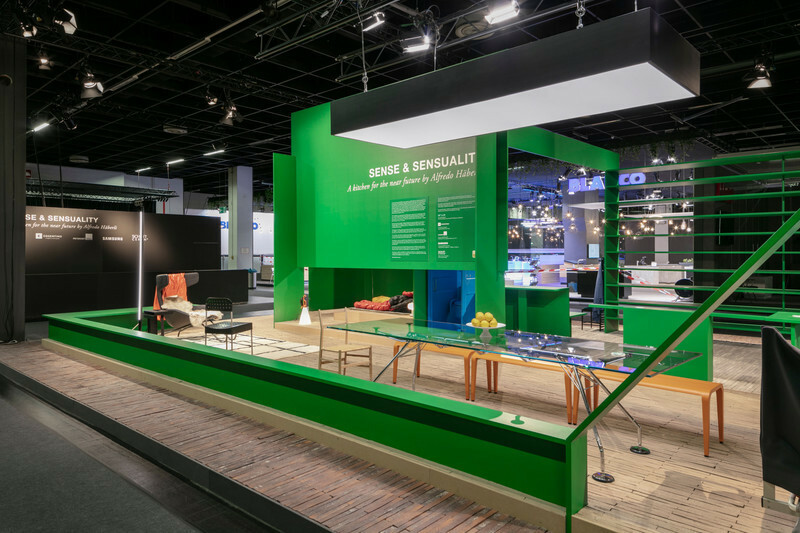 The exhibition reveals how the exploration of space has informed the rediscovery of earth, and illustrates the importance of pursuing an architecture based on the production of ideas. 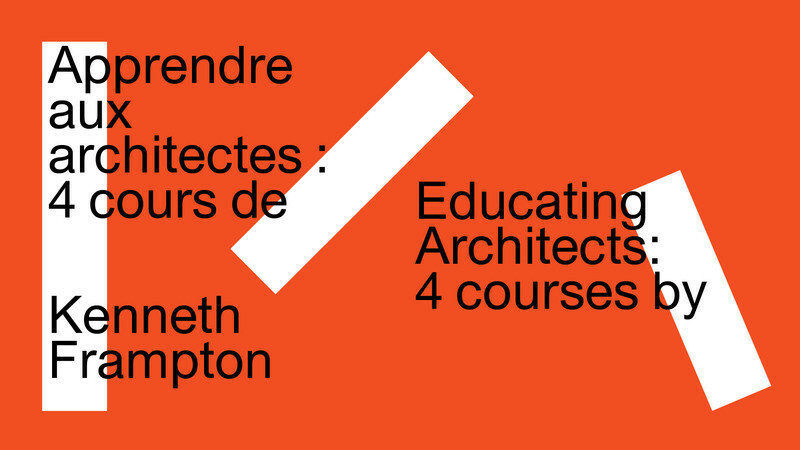 Montreal, Canada, 2010-04-22 - The Canadian Centre for Architecture (CCA) presents three approaches to the idea of an adventurous journey that started 40 years ago after the 1969 moon landing. Featuring the work of architects Greg Lynn, Michael Maltzan, and Alessandro Poli, Other Space Odysseys comes at a time when space exploration is the subject of renewed enthusiasm, but also of debate which questions its justification. Scientific expeditions, satellite launches, and the emergence of space tourism are pushing us to reconsider our relationship with the planet. 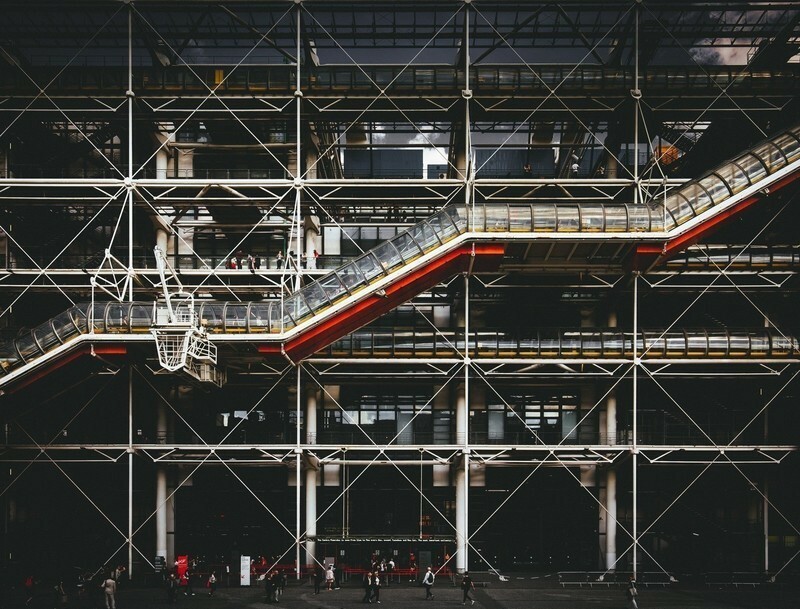 For these architects, space has provided not only a rich context for experimentation, but also an extreme condition in which to test new ideas for life on Earth. 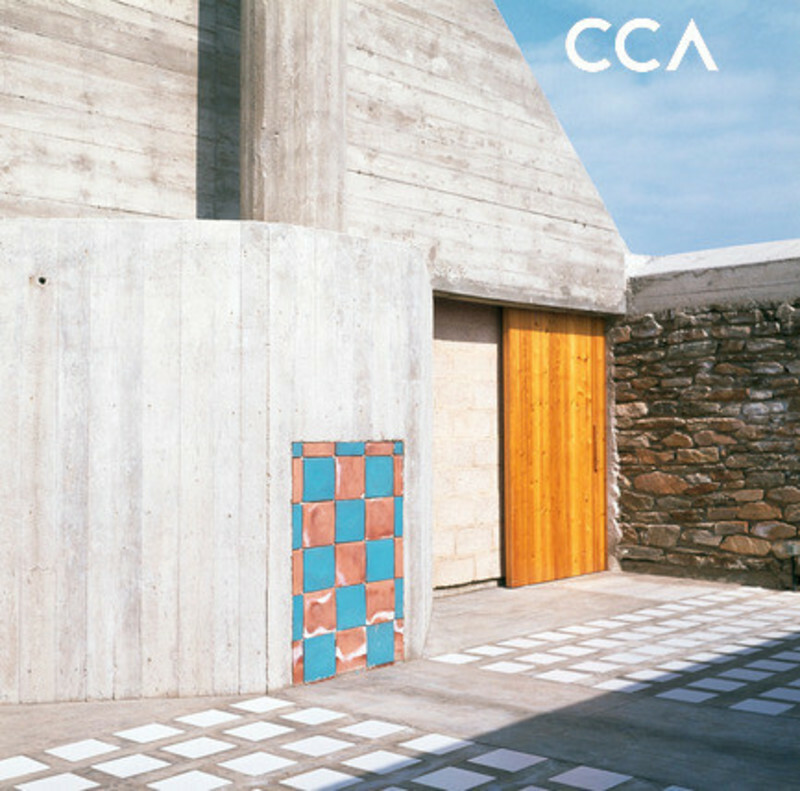 The exhibition, on view at the CCA from 8 April until 6 September 2010, is curated by CCA Curator of Contemporary Architecture Giovanna Borasi and CCA Director and Chief Curator Mirko Zardini, in active collaboration with the architects. Other Space Odysseys presents the architects’ projects in two galleries each, adjacent and open to one another in order to establish relationships among their respective works. 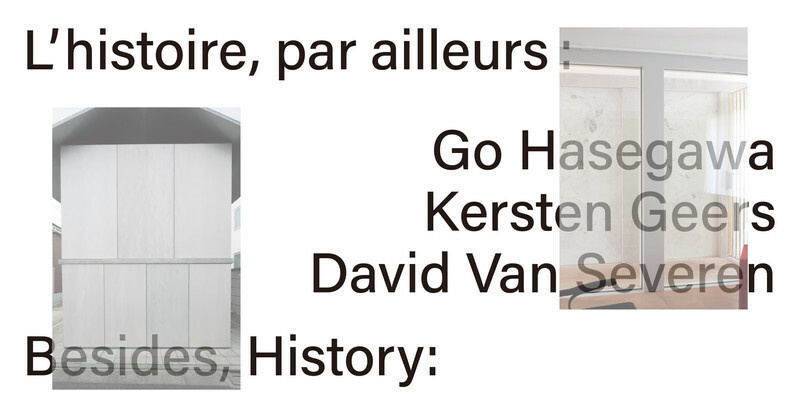 This format produces a conversation between the architects’ work, expanding to create a broader and more complex reflection on the themes of the exhibition. 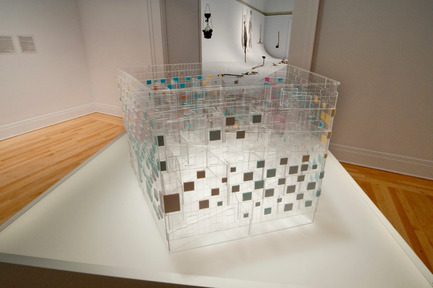 The idea of space exploration provoked these architects to use new and different media for disseminating their ideas: models, collages, animation, and objects supplant more traditional two-dimensional forms of representation. 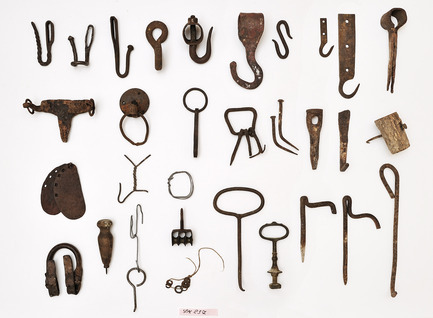 Accordingly, Other Space Odysseys presents a wide array of material, both real and virtual, from the simple tools of a farmer to the digital animation of a science fiction film. 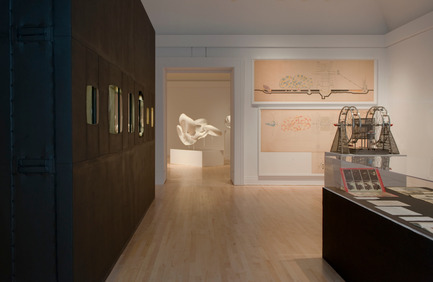 The architects have worked to select the material and present concepts through the exhibition design. The graphic design for the exhibition, by the Minneapolis, Minnesota-based designer Alex DeArmond, is inspired by the long distances, intersecting geometries, and nebulous lighting inherent in space exploration. 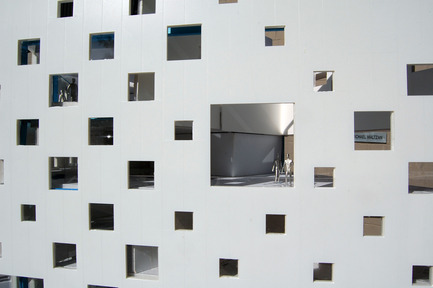 Commenting on the exhibition, Mirko Zardini stated: “Other Space Odysseys has nothing to do with Space Architecture or architecture in outer space. It is not a celebration of high-tech architecture and imagery or extreme physical and mental conditions. 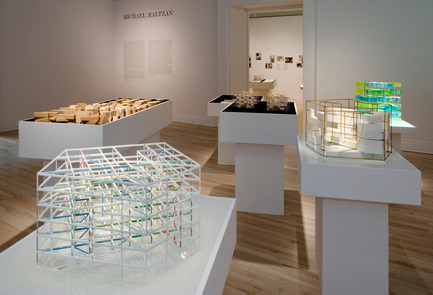 Instead, this exhibition proposes a letting go of architecture understood as the production of material goods in favour of architecture as the production of ideas.” Greg Lynn, Michael Maltzan, and Alessandro Poli have developed unique and imaginative responses to the questions of space travel and the inhabitation of new, extraterrestrial realities. 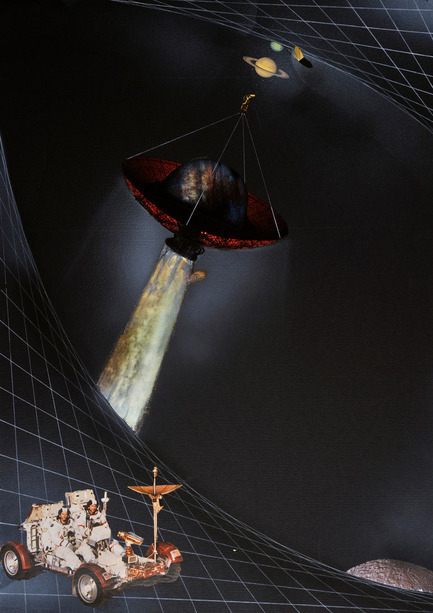 Their odysseys, real and virtual, ultimately promise a rediscovery of our own planet. 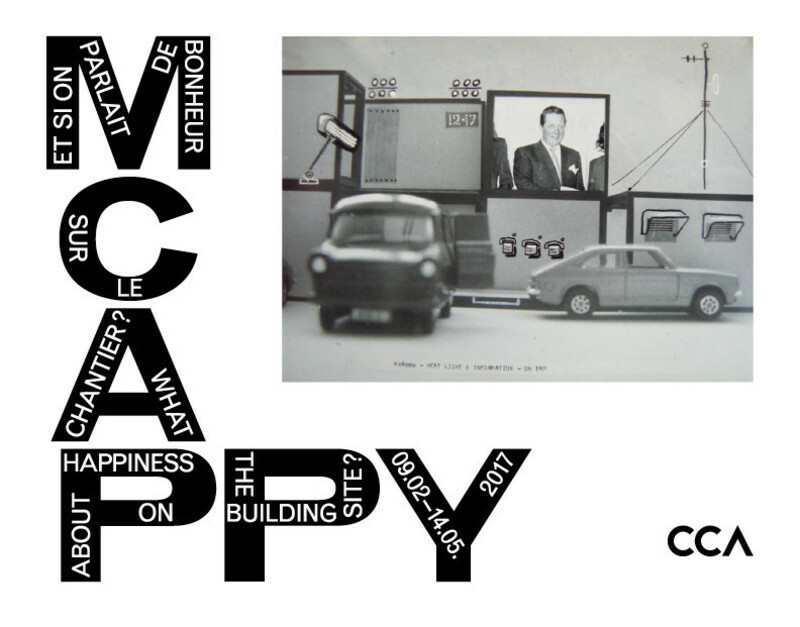 Other Space Odysseys is the third in a series of exhibitions at the CCA conceived in collaboration with contemporary architects which have developed new ways to investigate important themes through curatorial approaches that reveal the attitudes of the architects themselves. Environment: Approaches for Tomorrow (2006–07) presented two reflections: one on the disappearance of wilderness by the French landscape designer Gilles Clément, the other by the Swiss architect Philippe Rahm on the interrelationship of humans and climatic conditions. In 2008, Some Ideas on Living in London and Tokyo explored two different approaches to urban living with respect to private and public life through the work of architects Ryue Nishizawa in Japan and Stephen Taylor in Britain. “This series of exhibitions,” explained Giovanna Borasi, ”offers an opportunity to explore issues that we think are critical to contemporary debate with architects who, through their research and projects, contribute their ideas to the topic.” In addition to presenting existing projects, the architects involved have created new work specifically around the subject of the exhibition. Three projects by Greg Lynn are presented in the exhibition, each one making use of extreme conditions – such as virtual reality or the absence of gravity – to introduce new directions, technologies and forms into the world of architectural possibility. 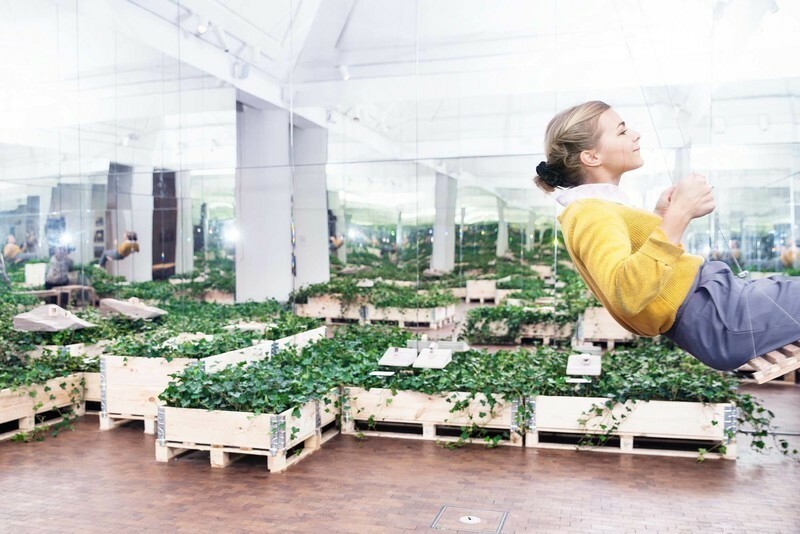 A sense of tension is created between work which provides a virtual reality representation of the earth, and work conceived as architecture for outer space. 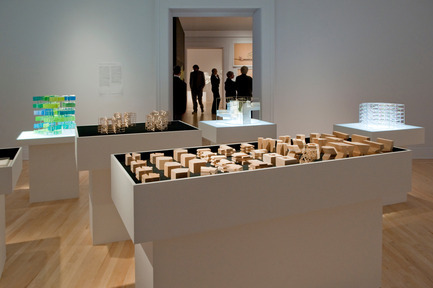 The first gallery presents New City, an architecturally considered virtual world. 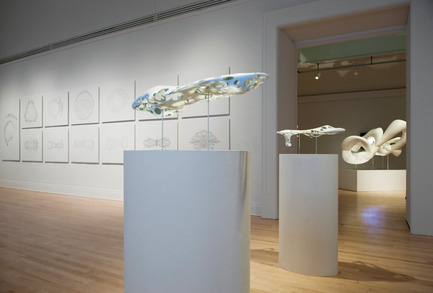 Five models, digitally fabricated for the exhibition, as well as an animation, capture the project, which responds to the emergence of social media through the design of a parallel virtual reality in which all of the earth’s inhabitants reside in a single, interconnected city. In a second gallery, Lynn’s research on outer space is presented. 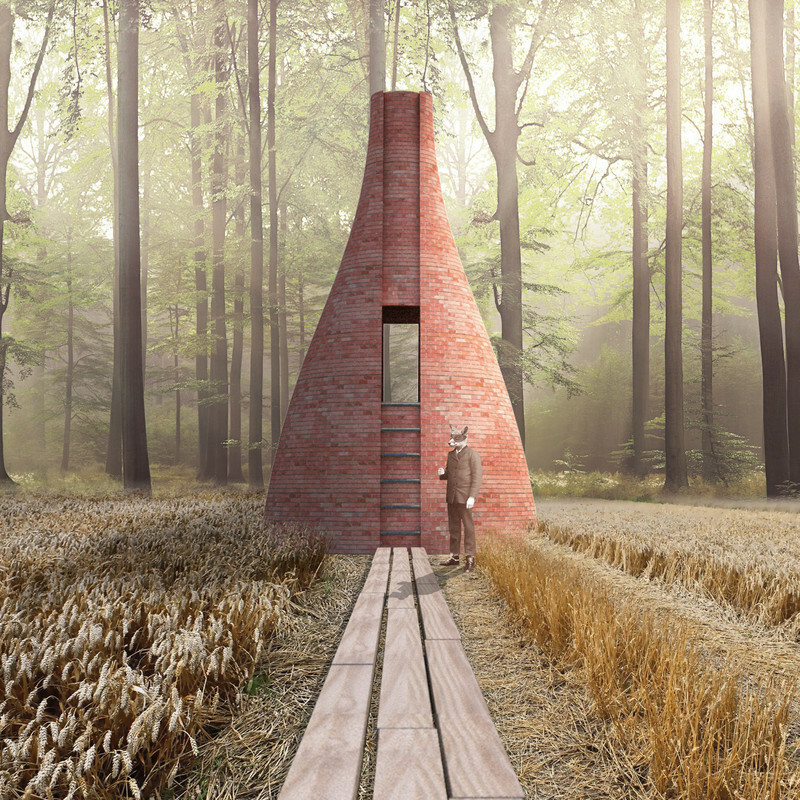 A series of models (also digitally fabricated for the exhibition) present the N.O.A.H. (New Outer Atmospheric Habitat) structures, a series of four planets developed for the science fiction film Divide. 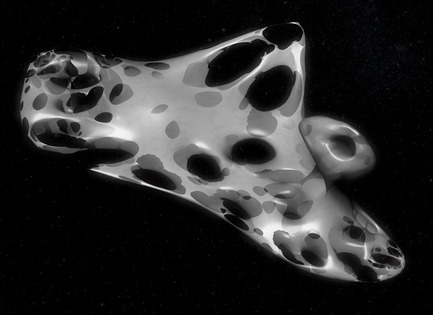 From afar, the planets appear as unique forms; up close, they are revealed as porous, cellular structures that contain a wide range of spaces and microclimates. 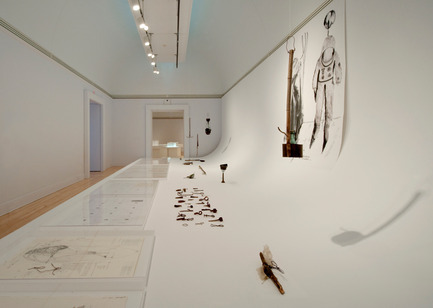 Lynn’s exploration into the possibilities revealed by the extreme conditions of outer space is also represented by drawings and animation produced by his students at the University of Applied Arts, Vienna, and the University of California, Los Angeles. Their projects for space colonies responded to a brief from Lynn, who challenged his students to explore the notion of ‘ground’ in the absence of gravity. 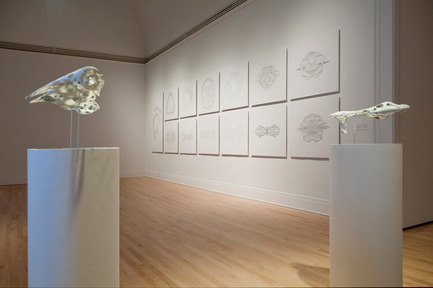 This dichotomy between earthbound scientists and their work at the scale of outer space is reflected in the exhibition. 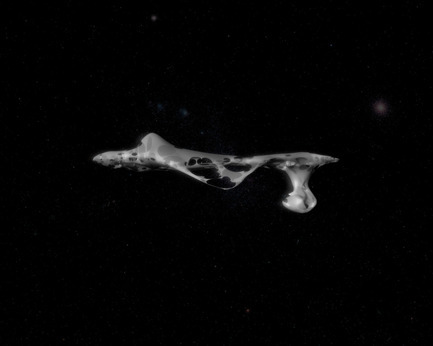 In the first gallery, a video of space exploration shows the sublime and heroic qualities of the images received from outer space. 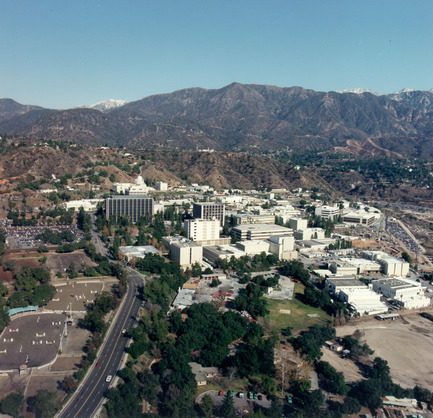 The second gallery presents the day-to-day technical and bureaucratic life of the JPL through data received from the Cassini mission, which is currently exploring Saturn and its moons. 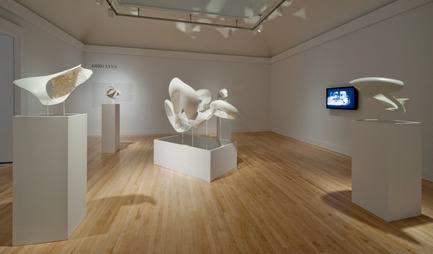 Study models created at the beginning of the design phase, as well as models of the current proposal for the JPL building created for the exhibition are displayed throughout the two galleries dedicated to Maltzan’s work. 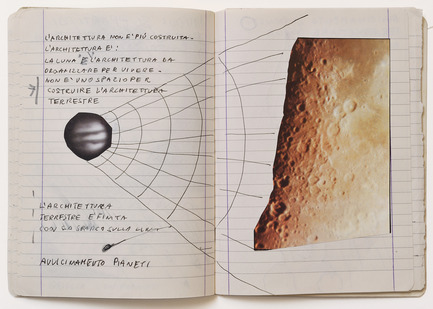 The 1969 moon landing radically changed Alessandro Poli’s vision of planet Earth, leading him to develop a new idea of geography. 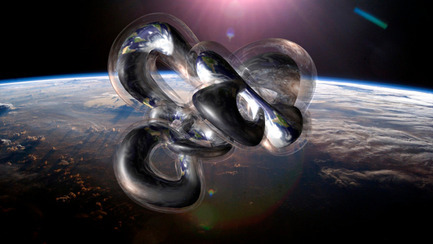 Other Space Odysseys revisits projects of his that explored drastically different proposals for connecting the earth’s environment to the new reality of outer space. 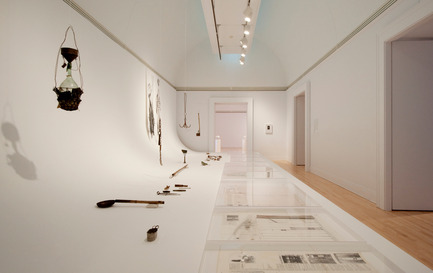 In the exhibition, Poli’s current reflections on his research are presented alongside his original projects. 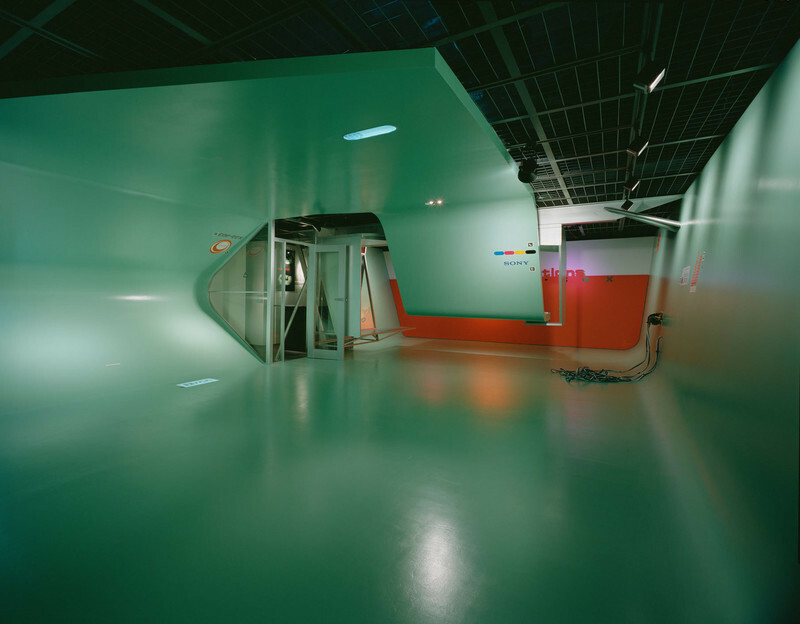 The first gallery is dedicated to Architettura interplanetaria (Interplanetary Architecture - 1972), a film by the radical Italian architecture group Superstudio (of which Poli was a member from 1970-72) that imagined a form for architecture at an interplanetary scale, including a highway from the earth to the moon. 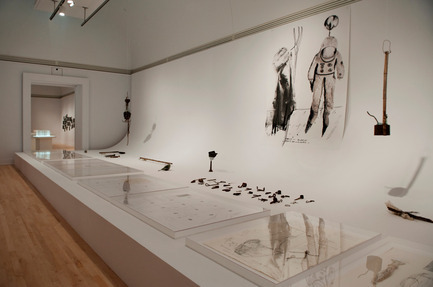 In addition to the film, preparatory materials including sketches, collages, and storyboards are on display. 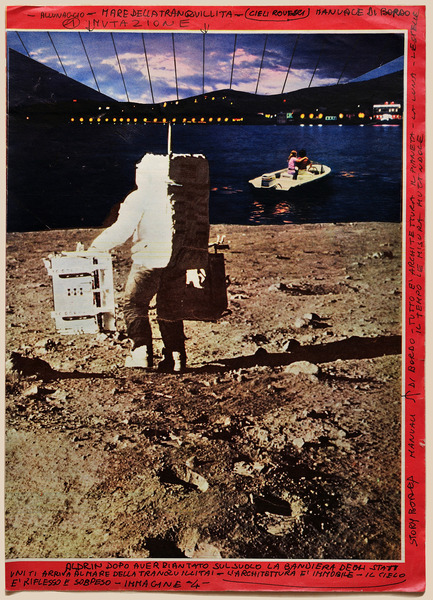 Conscious that manned space exploration also implied a return to earth, in 1974 Poli began the research for Cultura Materiale Extraurbana (Extra-Urban Material Culture) in parallel with several members of Superstudio. Challenging the optimism and technological dependence of space exploration, the protagonist of one chapter in this project was Zeno, a Tuscan peasant, whom Poli continued to study with Zeno - research on a self-sufficient culture. 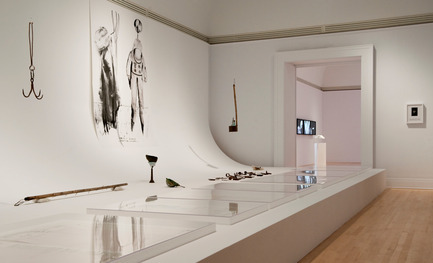 In a second gallery, Zeno’s tools are on display, along with a series of drawings made by Poli in an attempt to document and to understand Zeno’s world. A large-scale drawing illustrates the contrast between the clothes worn by Zeno and the spacesuit of astronauts such as Edwin “Buzz” Aldrin. In contrast to the astronauts of the Apollo missions, who required highly sophisticated capsules and suits to survive in their new environments, Zeno used and reused the same objects; applying his resourcefulness in making and readapting them, he was completely self-sufficient. 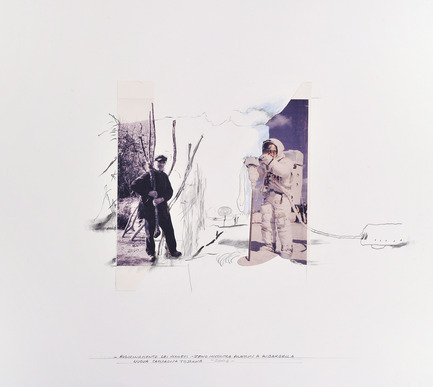 Poli’s current reflections are crystallized in the 2008 collage Zeno and Aldrin meet in Riparbella, which illustrates the relationship between the two characters, while highlighting the principal theme of the exhibition: the rediscovery of Earth through the exploration of space. Other Space Odysseys, a publication edited by Giovanna Borasi and Mirko Zardini accompanies the exhibition. 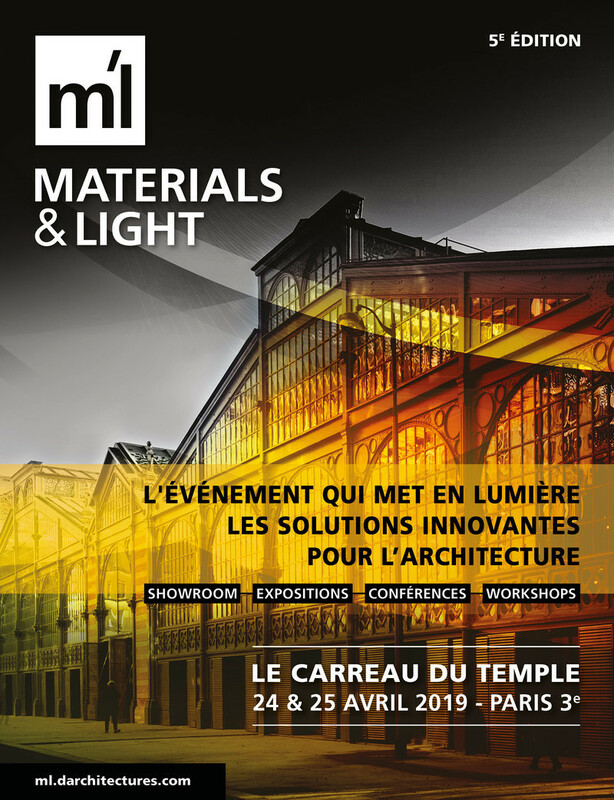 Available in both English and French editions, the book features illustrated interviews between Giovanna Borasi and both Greg Lynn and Michael Maltzan. Alessandro Poli has written an original text (Nearing the Moon to the Earth), as well as a fictional interview between the astronaut Aldrin and the farmer Zeno. 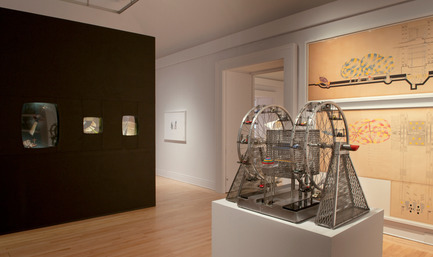 The projects of Lynn, Maltzan, and Poli are presented through descriptive texts, original documents, and illustrations. Giovanna Borasi (Vantage Points Accessible for the First Time: A Story in Six Chapters) and Mirko Zardini (Being Zeno Fiaschi Today) also contribute essays to the volume. 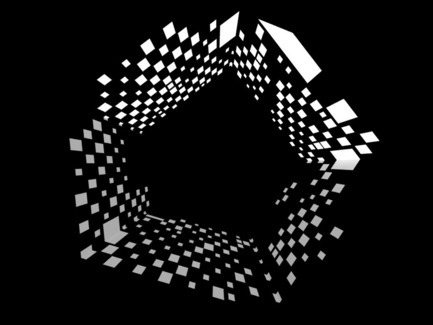 Beginning Thursday, 15 April, a series of lectures on the theme of Testing at Home explore other worlds here on Earth, their possibilities and implications. 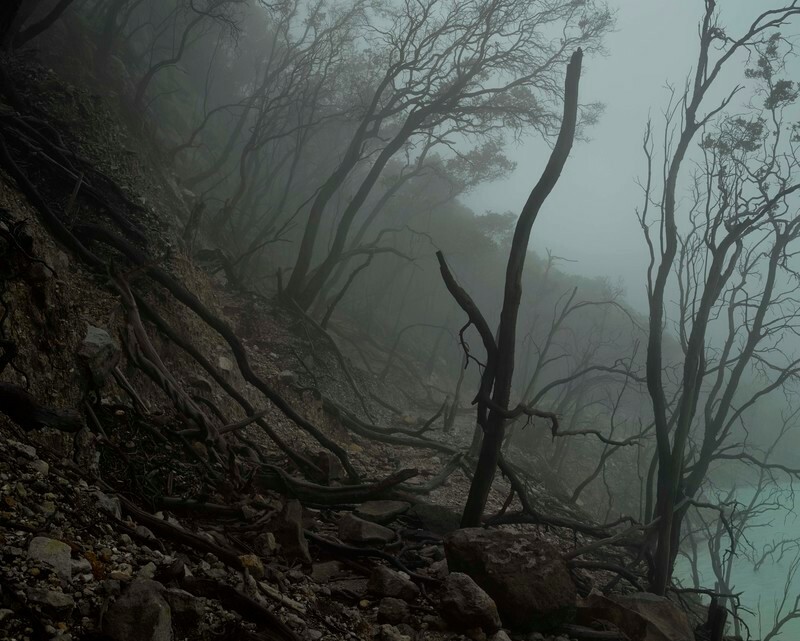 Extreme conditions create locales where people can only venture at great risk; these can be special places of interest for scientists and artists, sometimes hiding great secrets, treasures or knowledge. 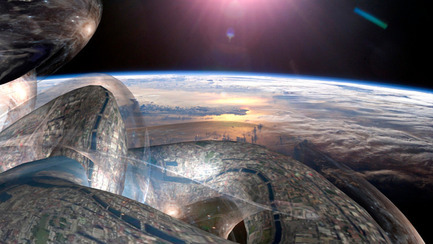 Exploring other worlds on Earth can be preparation for leaving the planet altogether. Within this series four speakers present their research and experiments at the CCA: journalist Mike Neal presents Mars in Utah, a low-tech space simulation program (15 April); Alain Berinstain, Director, Planetary Exploration and Space Astronomy at the Canadian Space Agency, discusses architecture and the research conducted on Earth to develop and test life-support systems. 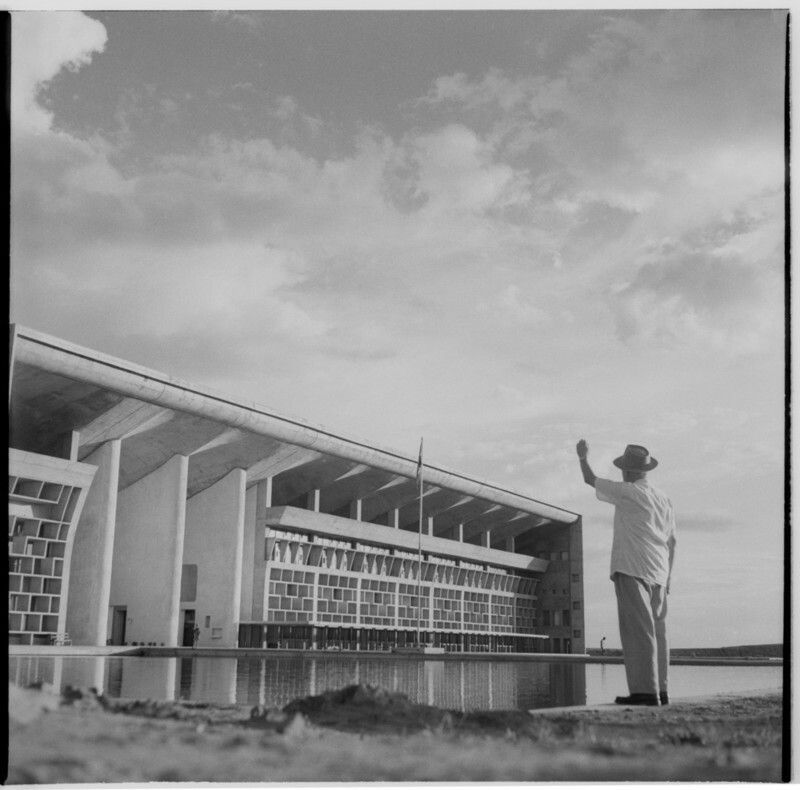 (6 May); artists Hilario Isola and Matteo Norzi speak on Jacques Cousteau’s Conshelf II underwater base (13 May); and Matthew Coolidge, Director of the Center for Land Use Interpretation, Los Angeles, presents US aeronautical and nuclear testing grounds (27 May). 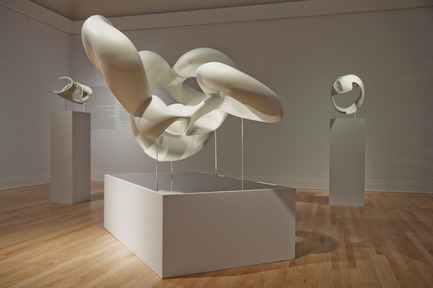 Two family programs accompany the exhibition: Ticket to Outer Space and Ideas of the Universe. The second of these two workshops is developed in collaboration with the Canadian Space Agency. 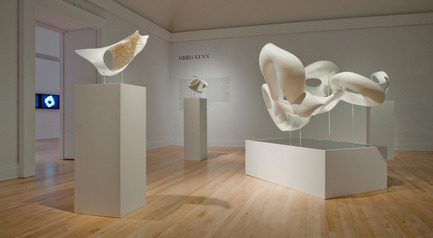 Greg Lynn (born 1964 in North Olmsted, Ohio) is principal of Greg Lynn FORM, based in Los Angeles (www.glform.com). 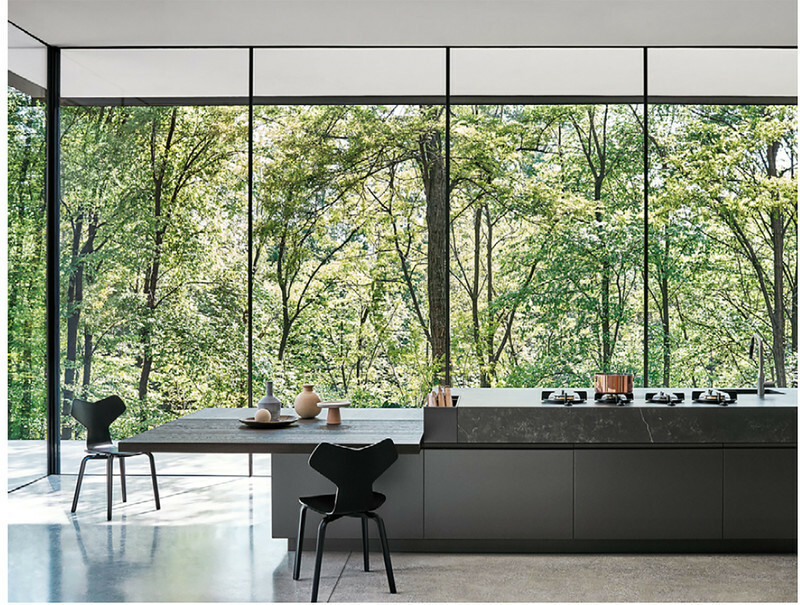 He holds a Bachelor of Environmental Design and a Bachelor of Philosophy from Miami University of Ohio, and received a Master of Architecture degree from Princeton University. 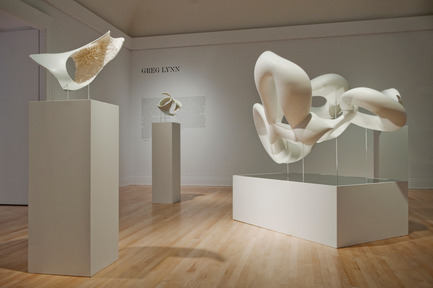 Greg Lynn FORM has been at the forefront of computer-aided design in the field of architecture. 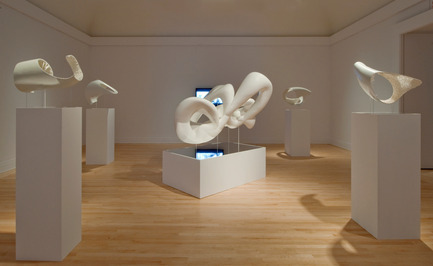 His projects, teaching, and writings have been influential in the use of advanced technology for design and fabrication. 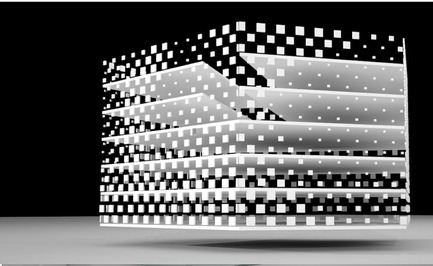 The CCA holds the archives of his project Embryological House (1997– 2001), a ground-breaking early work of digitally created theoretical architecture. 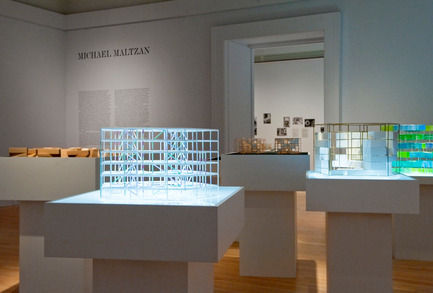 Michael Maltzan (born 1959 in Levittown, New York) is principal of Michael Maltzan Architecture in Los Angeles (www.mmaltzan.com). 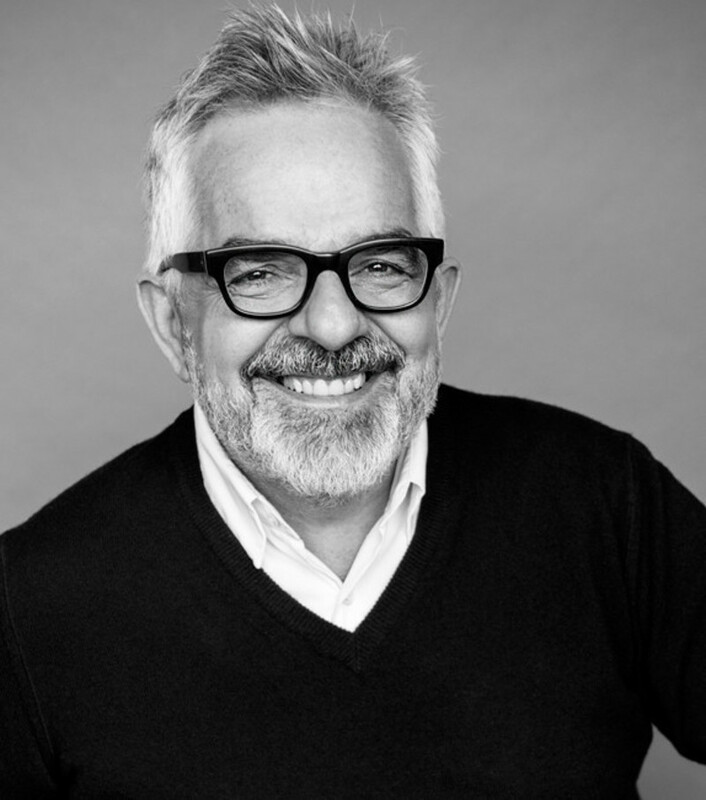 He holds a Bachelor of Fine Arts and a Bachelor of Architecture from Rhode Island School of Design, as well as a Master of Architecture degree from Harvard University. 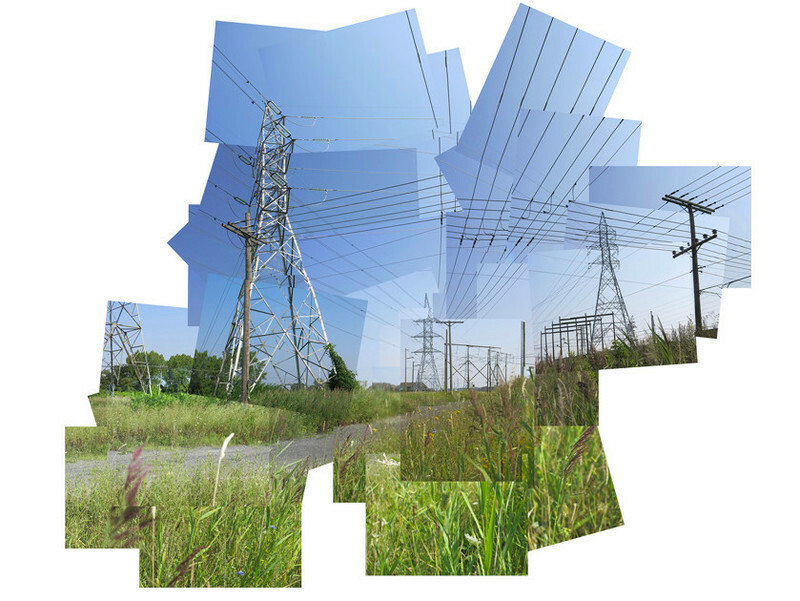 Maltzan has created a practice that engages the increasingly complex reality of contemporary urbanization. 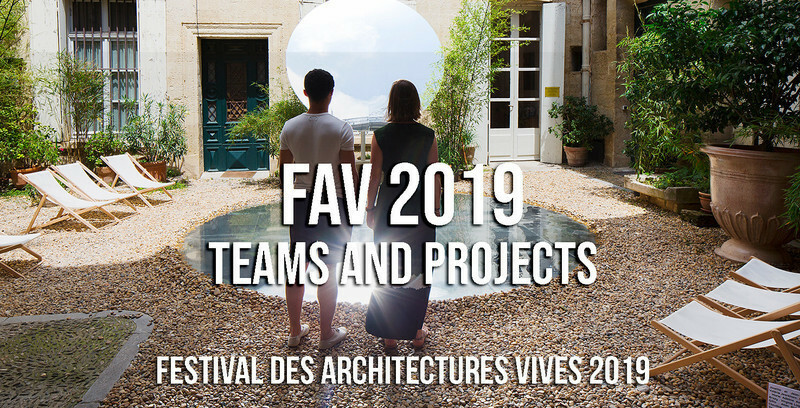 His work with art centres, museums, and housing projects for the homeless charts a new trajectory for contemporary architecture and the public realm. Alessandro Poli (born 1941 in Florence, Italy) lives and works as an architect in Florence. He holds a Master of architecture degree from the University of Florence. From 1970 to 1972 he was part of the Italian radical architecture group Superstudio (Adolfo Natalini, Cristiano Toraldo di Francia, Roberto Magris, Gian Piero Frassinelli, Alessandro Magris). 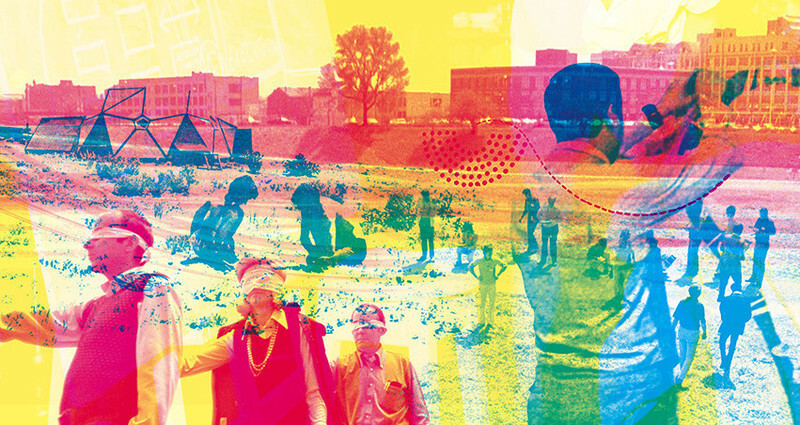 From 1973 to 1982 he taught at the Faculty of Architecture, University of Florence, focusing from 1974 to 1980 on the research for Cultura materiale extraurbana. 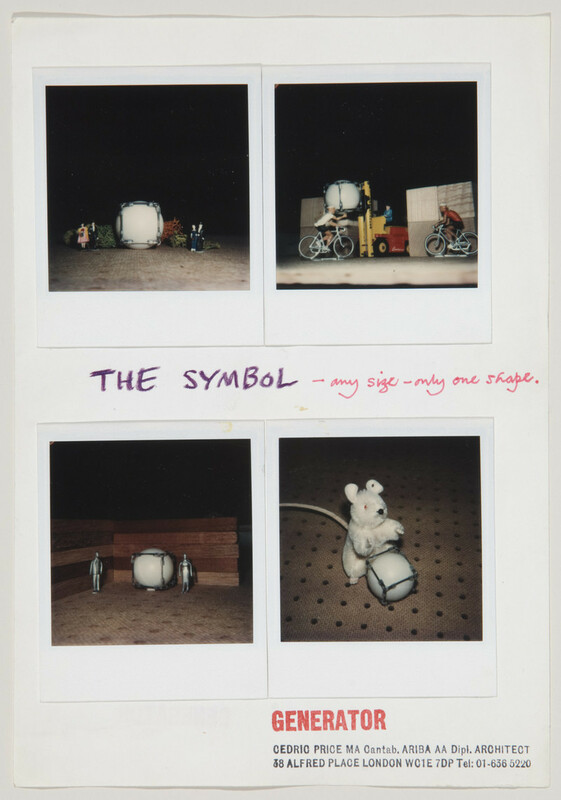 Part of this work was presented at the 38th Venice Biennale (1978) with Superstudio. 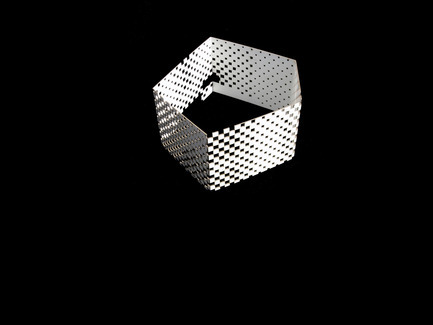 His current research investigates the relationship between art and architecture at different scales: lately he has been focusing on the design of exhibitions and of contemporary art jewellery. 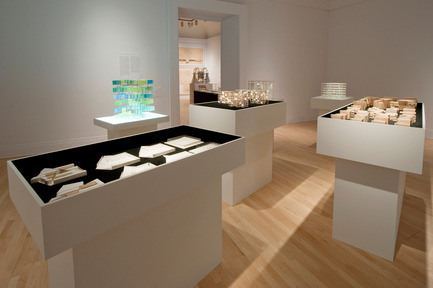 The CCA thanks the sponsors Hydro-Québec, BMO Financial Group, and MDA for their support of the exhibition. The CCA also thanks the Canadian Space Agency for their support of its public programs. 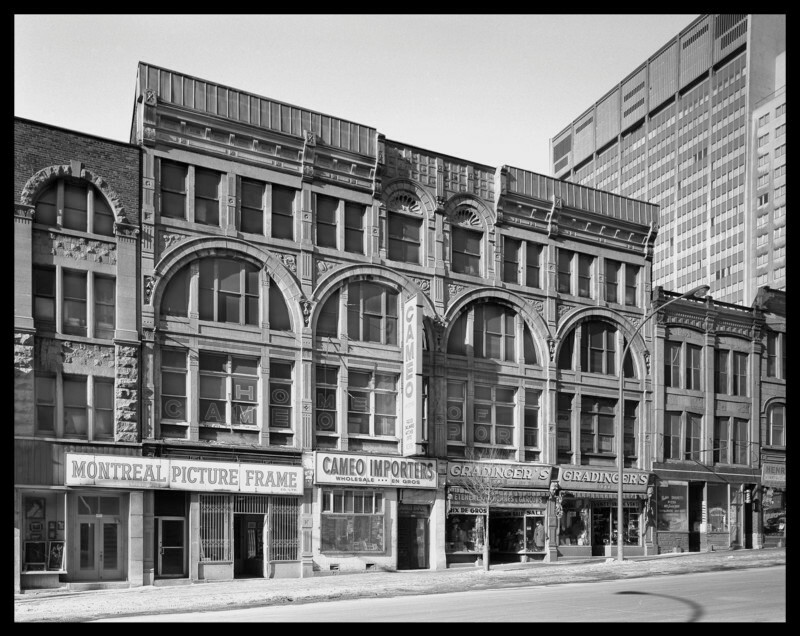 The CCA gratefully acknowledges Loto-Québec for its institutional support as well as the Ministère de la Culture, des Communications et de la Condition féminine, the Canada Council for the Arts, and the Conseil des arts de Montréal for their continuous support. Alessandro Poli, Zeno incontra Aldrin a Riparbella (Zeno and Aldrin meet in Riparbella). 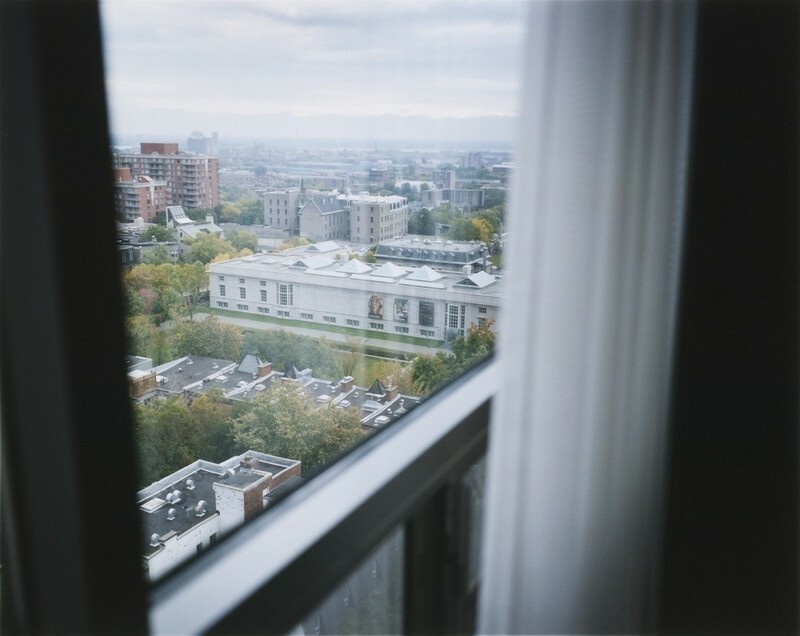 Photo credit: © 2008, Archivio Alessandro Poli. 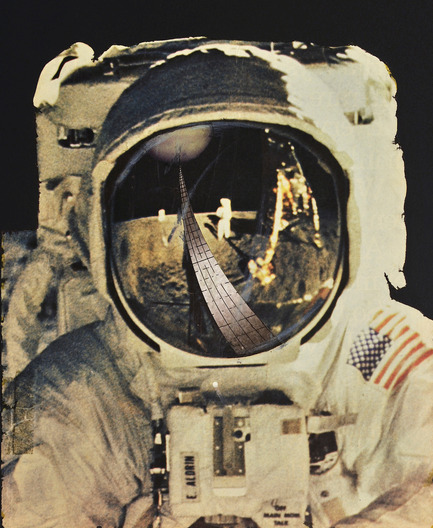 Alessandro Poli, Autoritratto con riflessa autostrada Terra-Luna (Self-portrait with reflection of Earth-moon highway), 1973, photomontage. 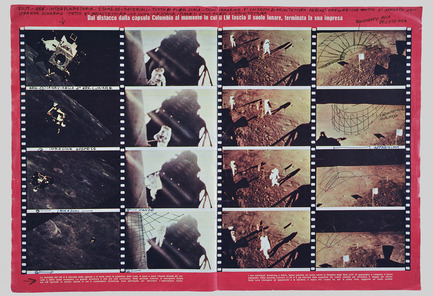 Alessandro Poli, Trasporto dei pianeti per ingrandimento della Terra (Moving the planets for the enlargement of the terrestrial surface), Alessandro Poli, 1973, photomontage. 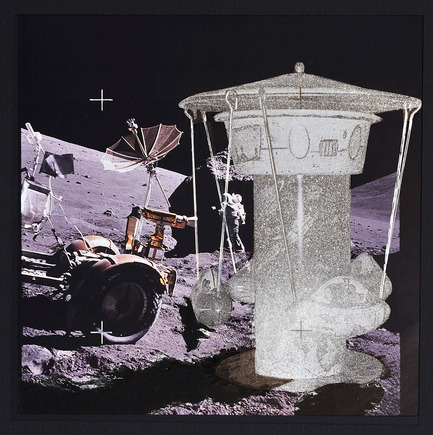 Alessandro Poli, Paesaggio lunare – Luna Park (Lunar landscape — Luna Park ), 1973, photomontage. Photomontages, sketches, and literary narrative by Alessandro Poli for Architettura interplanetaria, (Interplanetary architecture), 1970 –71. 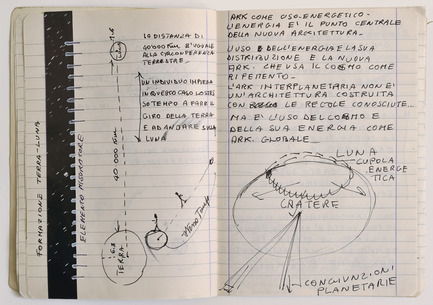 Notes by Alessandro Poli for the movie Architettura interplanetaria, (Interplanetary architecture), 1970 –71. 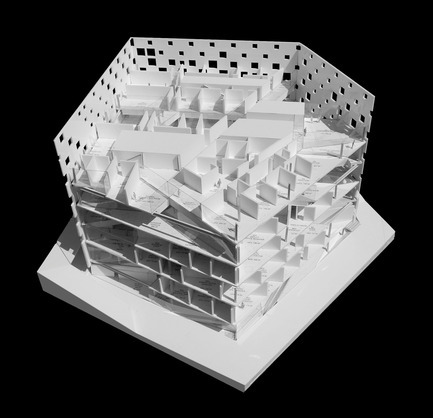 Michael Maltzan, Architect, New building for the Jet Propulsion Laboratory, Pasadena, California, 2006-, model, detail. 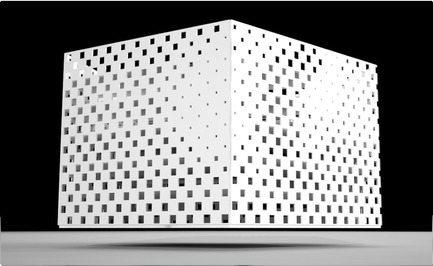 Michael Maltzan, Architect, New building for the Jet Propulsion Laboratory, Pasadena, California, 2006-, model. 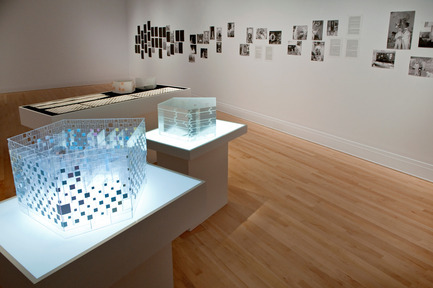 Other Space Odysseys: Greg Lynn, Michael Maltzan, Alessandro Poli, installation view at the CCA. Photo credit: Autres odyssées de l’espace : Greg Lynn, Michael Maltzan, Alessandro Poli. Vue de l'installation au CCA. 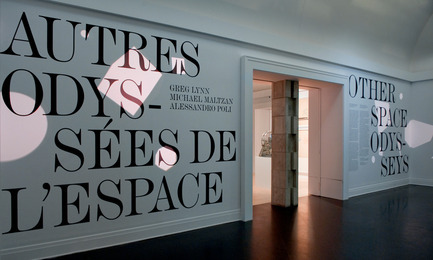 / Other Space Odysseys: Greg Lynn, Michael Maltzan, Alessandro Poli, installation view at the CCA.